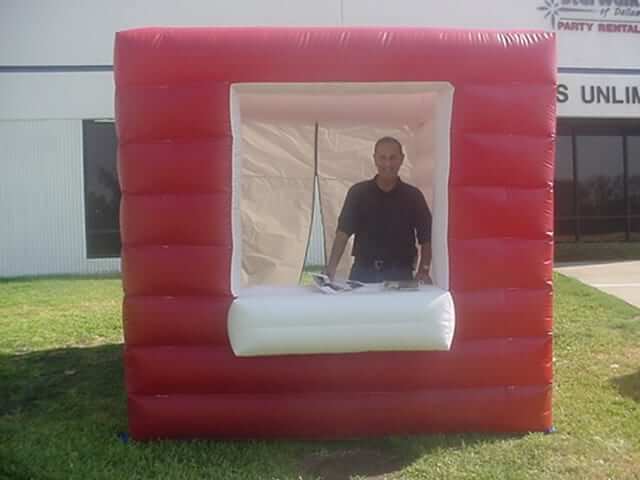 YOU ARE RENTING AN ALL NEW & UNIQUE TICKET BOOTH & KIOSK FOR USE AT EVENTS OF ALL TYPES. 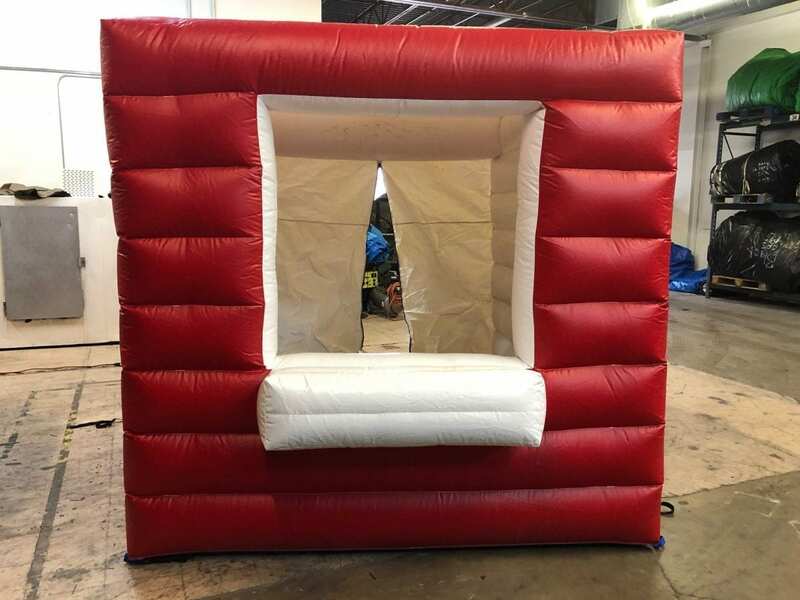 THIS IS AN INFLATABLE STRUCTURE WITH A 10″ WALL THICKNESS ON THE FRONT AND BOTH SIDES. NOT ONLY DOES THIS PROVIDE A LIGHT AND RIGID STRUCTURE, BUT THE 10″ AIR WALL PROVIDES INSULATION FROM THE HEAT AND COLD. THE BOOTH IS 8 FOOT TALL, 8 FOOT WIDE AND 8 FOOT DEEP. WEIGHT IS 80 POUNDS AND ROLLS UP INTO A SMALL EASILY TO CARRY BUNDLE. THE TICKET BOOTH CAN BE DELIVERED OR PICKED UP FROM OUR OFFICES AT 75 AND 635.